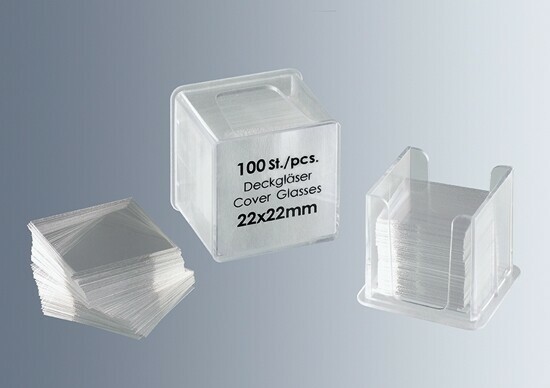 Marienfeld Superior cover glasses feature an excellent flatness and smooth surfaces thanks to the best material. 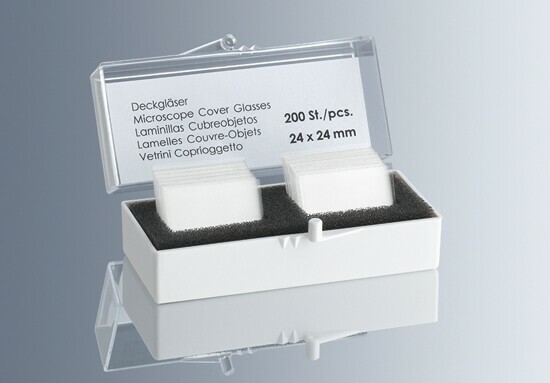 No cover glasses made of soda lime glass match the quality of our borosilicate glass coverslips. 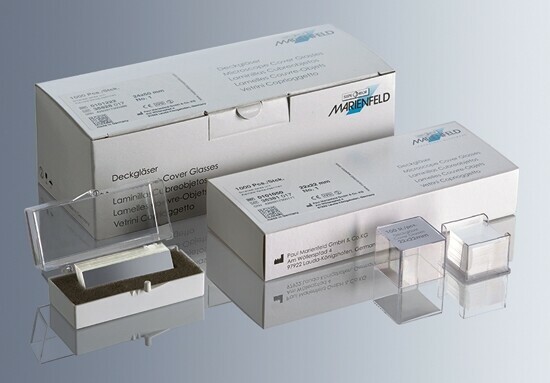 Even when archived for years preparations keep their optical quality thanks to our noncorroding glass and the particularly low tolerance of the material thickness.Our precise machining processes make sure that our coverslips have the exact size and their edges are cut with high precision. All of our efficient processes include a stringent, integrated quality control and thus ensure high quality coverslips which do not stick together. 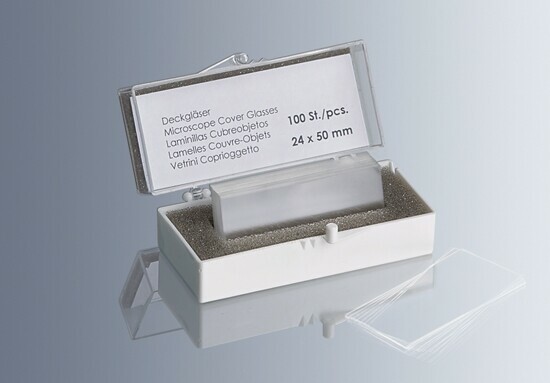 Our coverslips are ready for use and well suited for application in automated coverslippers. All these characteristics result in significant advantages for the user.